D.J. Butler wrote a lot of rock songs before he ever completed a decent novel. The only one he ever got paid for was “WalMart Loves You, Anyway,” which he sent on CD to the entire WalMart board of directors, and for which he was sent a $25 WalMart Gift Card. He spent the loot with gusto. 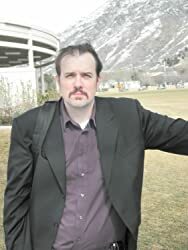 Butler writes speculative fiction of all sorts for all ages. CLICK HERE FOR MORE WORK BY D.J. BUTLER. Editor's note: When Ruth reviewed this book in 2012, she reviewed the "first part" of CITY OF SAINTS called Liahona. 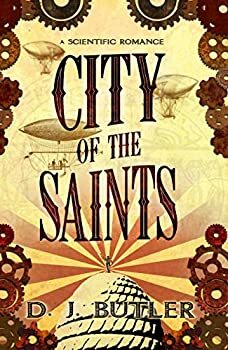 Since then, the series has been released as one novel called City of Saints.